Many many many thanks to the Licking Valley Church of Christ for designating their Thanksgiving offering towards funds needed for a Pavilion on the Invest Hope property in Peredo, Haiti! They have given us a great start with a donation of $5600! 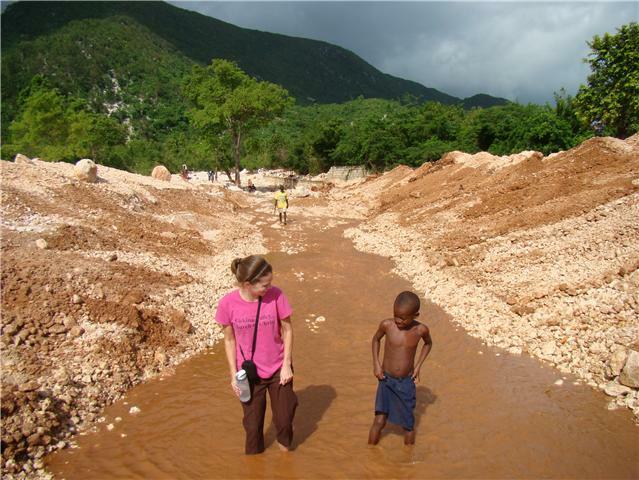 David is currently in Haiti visiting his family and doing work for Invest Hope. He called today and reported he had a meeting with our loan program participants and also with the School Match Savings program participants. I have to admit I am a little jealous he is getting to hang out with our friends and staff and eat some good Haitian food! But I am glad he is getting to spend time in his country with his family around this Christmas season. He had not been home since February so this trip is a much needed break for him. David called and put me on speaker phone and I talked to our loan program participants! I can not tell you how much I miss these women. They are doing really well and anxious to receive new loans in the future. I was worried how the repayment of loans might diminish once David and I left Haiti. However, the repayment rate has remained very high! I am so proud of them. We have raised the money needed to put a security wall around Invest Hope property! Early next year David will go to Haiti to oversee this project. Thank you all for your continued support of Invest Hope and helping the people who live in the village of Peredo. They truly appreciate it and need it. We are now raising the remaining amount of funds needed for the Pavilion which is to be built on the land. David is getting an estimate on building and labor costs while he is in country and will bring back the report. If your church or organization are interested in hearing more about this project, please email me at ginnyandrews@hotmail.com.